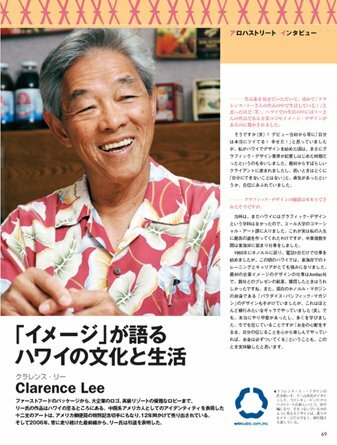 A feature interview with Clarence Lee appeared in the 2006-2007 winter issue of Aloha Street. 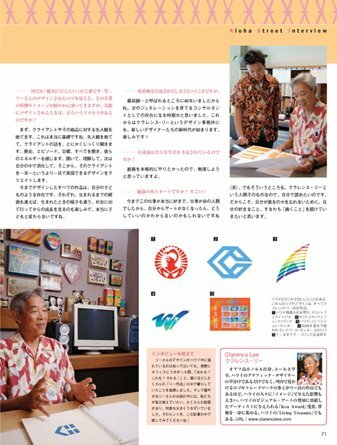 Aloha Street is a free magazine targeting Japanese tourists that is widely distributed in Waikiki. Among such magazines it is known for its information-packed articles and attractive covers and is very popular.